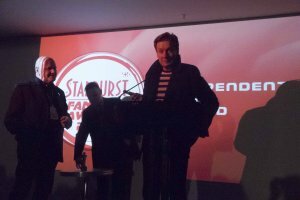 The STARBURST Fantasy Awards took place on Saturday, March 17th at the STARBURST MediaCity Festival at The Landing at MediaCityUK. Best Feature – The Child Remains, directed by Michael Melski. Best Short – Echoes of the Passed, directed by Scott Lyus, screenplay by Tony Sands. Best Director – Emma Dark for Salient Minus Ten. 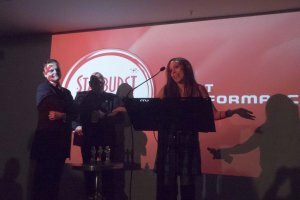 Best Performance – Francesca Louise White for Dead Meet. Brave New Words Award - Margrét Helgadóttir for Pacific Monsters, published by Fox Spirit Books. Independents Day Award - Andy Collier, Tor Mian, co-directors of Charismata. 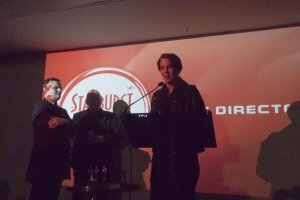 STARBURST wishes to congratulate all the recipients, and thank the filmmakers of every movie and short screened for helping make the festival a roaring success. 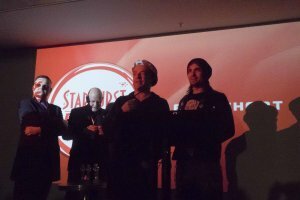 Every screening room was packed and all the attendees had a fantastic time. We would also like to thank The Landing at MediaCityUK for hosting the festival with us. We’re sure you’ll agree it was a stunning venue. We were also impressed with the brand new bar Social7, which opens to the public on March 19th on Floor 7 of The Landing at MediaCityUK.